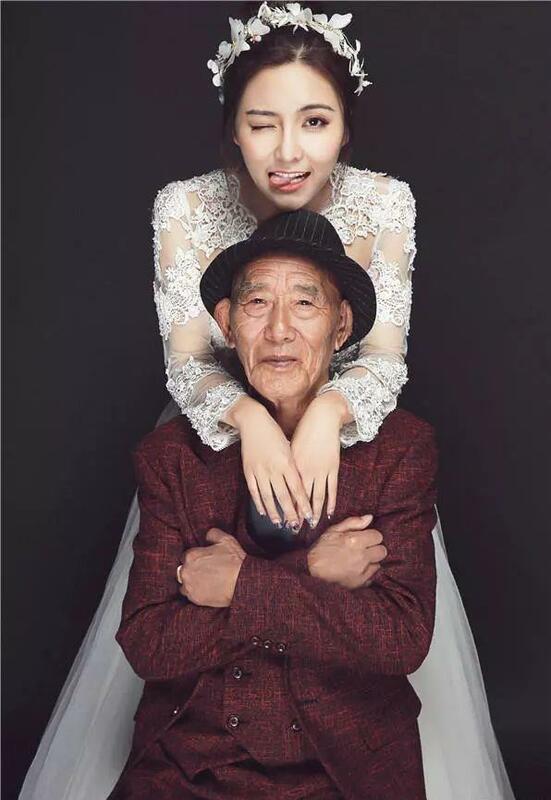 A 25-year-old woman in Chengdu, Sichuan Province, took special wedding photos with her 87-year-old grandfather – and she is not yet getting married. 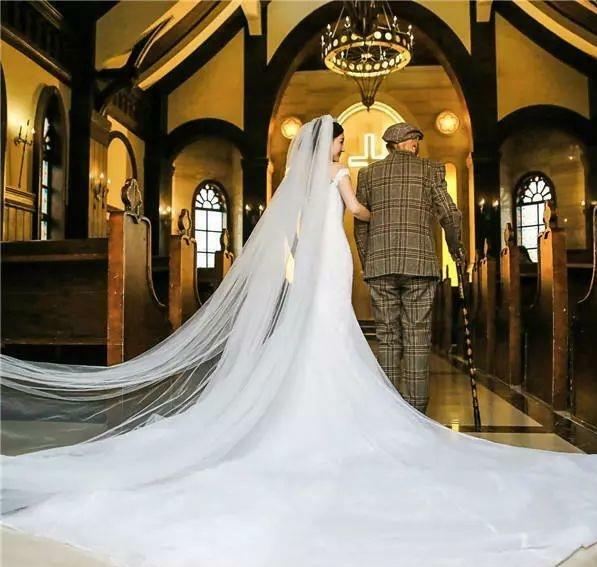 A 25-year-old woman in Chengdu, Sichuan Province, took special wedding photos with her 87-year-old grandfather recently, which greatly touched netizens, Knews reported. The woman, surnamed Fu, said it's a way to express her love to her dearest grandfather. Fu's parents divorced when she was young and she was raised by her grandfather. As her grandfather became older and older, his health became worse as well. Fu worried her grandfather couldn't have the opportunity to see her in her wedding dress so she decided to take a series of wedding photos with him. Chinese netizens were greatly moved by the photos and the story behind them with someone commenting: "What a filial and beautiful girl! Her inner beauty is even better than her physical beauty."